I love giant cupcakes. They’re so much fun to make, decorate and, more importantly, to eat. This recipe is for quite an intricate giant cupcake but it is easily adaptable – if you don’t want the bother of working with fondant you can just double the buttercream and ice the cake with that. 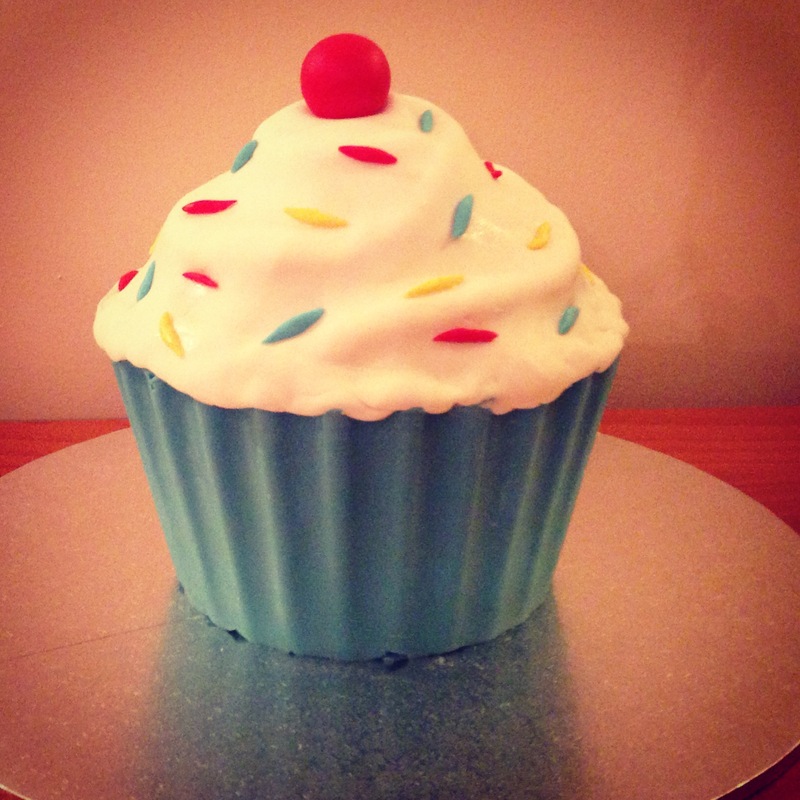 The cupcake case is also optional (but I think makes the end product look so much more professional). Of course, you could also make the cake batter from scratch but do keep in mind that it is quite a time-consuming process already and the box mixes are relatively stable and so good for cutting and shaping. The cupcake easily serves 10 adults and would be perfect for a kid’s party serving up to 20 children who have eaten other party food. 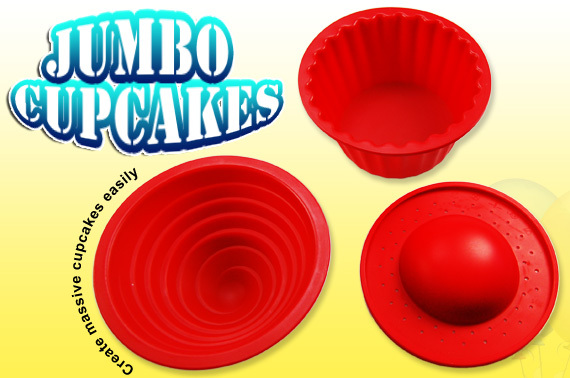 Make cupcake case by pouring a small amount of melted melts into the silicone bottom case and, using a pastry brush, spreading it until the entire inside of the case is thinly coated. Refrigerate for 20mins and repeat. To remove from silicone once completely set, loosen by pulling & pinching edges away from the chocolate & then gently peel down the sides of the mould. Make cake according to packet instructions and fill greased (spray oil) cases 2/3 full. Bake in moderate oven (175°C) for 40-70 mins (bottom will need longer than top) or until an inserted skewer comes out clean. Leave in silicone moulds for at least half an hour or until cool. 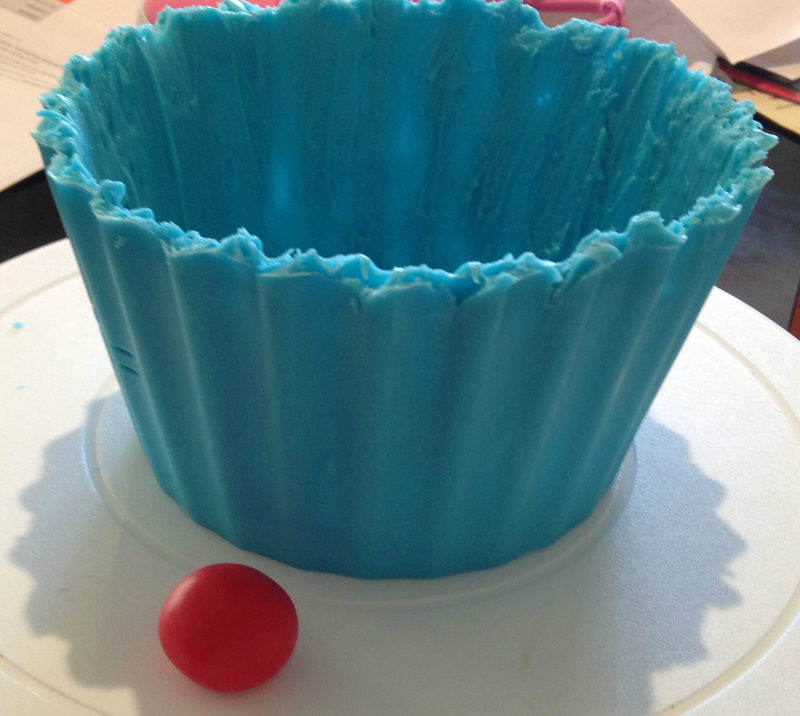 Then carefully peel off silicone, ensuring the cake is supported at all times. Make buttercream by beating ingredients until light and fluffy. Put a 1cm thick coating of buttercream between 2 bottom layers of cake and then between the base and top (ensure level – cut if necessary). Then put a thin layer of buttercream on the inside of the chocolate case and gently ease cake into it. Cover top of cake liberally with buttercream to form a protective barrier against crumbs. Transfer cake onto a cake board on a turntable. 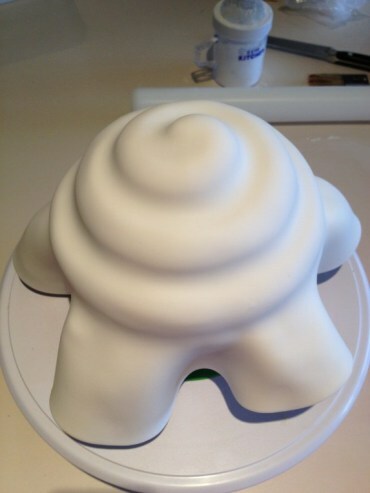 Make a thin sausage out of white fondant (or a thick one for a really cartoon-ish soft serve effect) and put on cake in a spiral manner to achieve a ‘soft serve effect’ in the end. 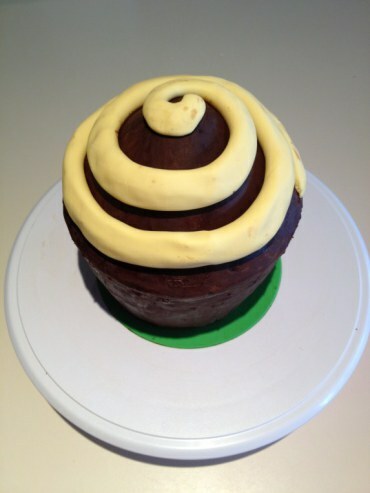 Roll out fondant until thin & large enough to cover top of cake and gently place on the cake. Gently massage fondant onto cake, hugging the curves & taking particular care not to pleat the fondant. 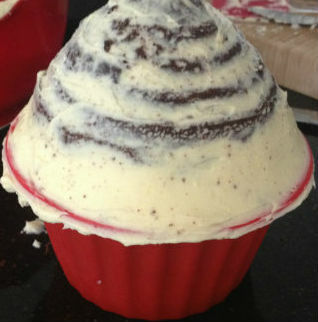 Cut off excess if necessary and tuck the bottom up so all buttercream is concealed. 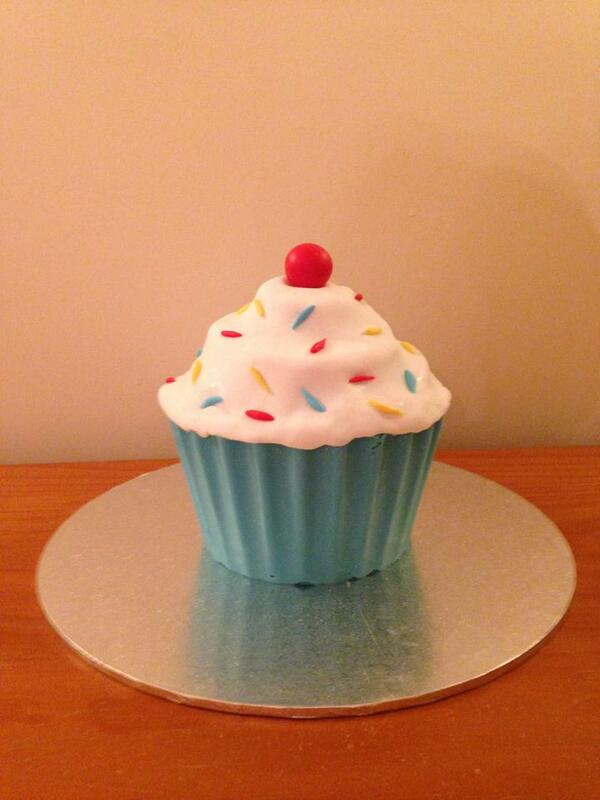 Decorate with giant “sprinkles” made from red, yellow & blue fondant icing and place the gumball as a cherry on top.